What are the ethical constraints for Authorship and Ownership issues for your selected interactive media example? Authorship and ownership issues are like copyright because owning author ship over any work gives this person copyright to that work and the right to distribution and production of that work. Here are some screen-shots from the dove beauty campaign video. This video shows how a models appearance is altered with computer software from the image on the left to the image on the right. Because the dove company owns the authorship over this video they also have the responsibility to deal with the impact it has on whoever views it. This video may appear to suggest that you have to look a certain way which discriminates against a lot of people especially women. 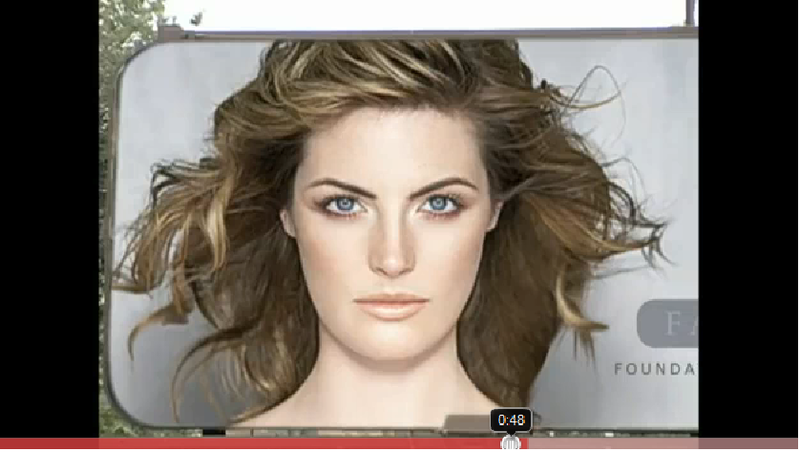 The makers of this video knew it would make people feel inadequate if they watched it and that is part of there selling strategy for the product because this video also suggests that there product will make you look like the model on the right. This is a screen shot from another video made for the “dove real beauty campaign” that the company have ownership over, this particular example suggests you can look good no matter what which is what the campaign set out to achieve. The aim of the dove beauty campaign is to suggest that “real women” can look good and do not have to look like models to be beautiful, but there campaign is flawed because the products that they sell help to rectify the things they claim to be beautiful in the campaign such as firming cream to get rid of curves and anti ageing cream to rectify wrinkles, the real beauty campaign sort of contradicts itself and dove have had to deal with the controversy there campaign has created. that back up my opinions about why a video such as this would have authorship and ownership issues because the company will have to deal with the contraversy it creates, it also backs up my opinion about why there campaign is flawed. It is important for a client to consider the impact a particular piece of interactive media may have, if you were commissioned to create an advert like this and it was considered controversial your reputation may be affected aswell as the company who commissioned you to do the work. 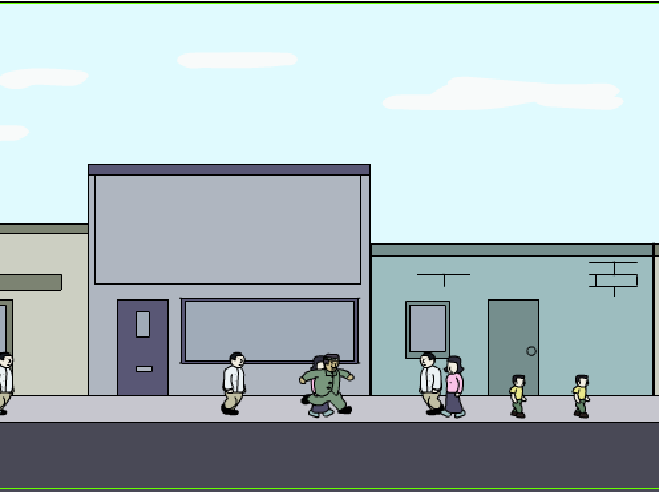 What are the ethical constraints for race issues for your selected interactive media example? 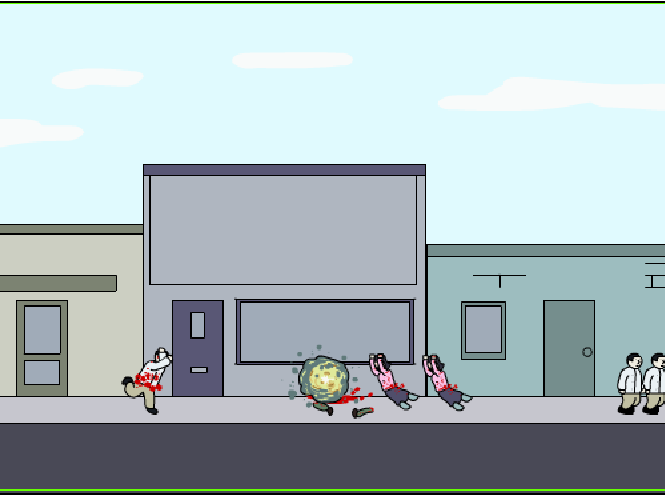 In this flash game you have to seek out the person with the dark skin from all the white people on the screen, when you have found him you have to click on him, and he reveals a bomb under his coat and blows up (also killing all of those around him). This game is racist and discriminates against dark skinned people, not only because you have to blow up the “black man” but because it suggests that all black men are terrorists. Blowing someone up because of the colour of their skin is definitely in breach of the race relations act because it makes it unlawful to discriminate against anyone on the grounds of their race, colour, nationality, religious beliefs, national or ethnic origins. Unfortunately the act only protects from peoples actions not there opinions or beliefs so to break the law you would have to deliberately use this flash game to offend someone like posting it on there website or emailing it to them. Just making the game is not enough to break the law on its own. 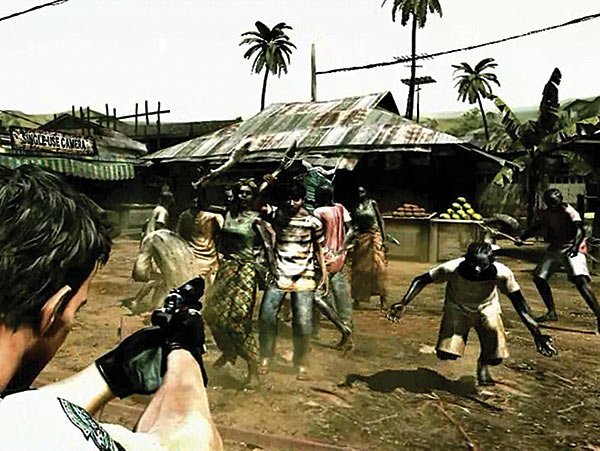 Another example an interactive media example that may be in breach of the race relations act is the video game resident evil 5. This video game has been labelled as potentially racist because of who you kill in the game. 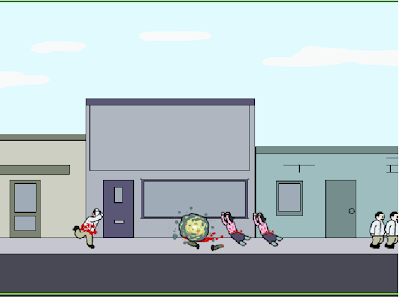 In the game the primary targets are native Africans that have a virus and the game may be seen as racist and in breach of the racial relations act because it singles out a particular ethnic group and creates racial stereotypes and may be seen to depict Africa as a nation of savages you also play a white man and spend a lot of the first half of the game killing people with dark skin. Because enemies you kill in this game have dark skin the game could easily be perceived to have racist undertones. 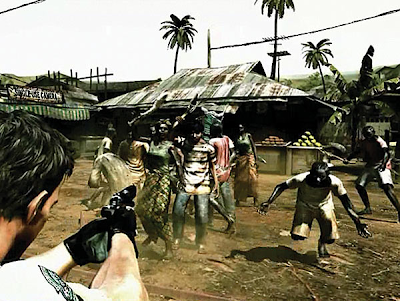 Here is a screen shot from the game Resident evil 5 and clearly shows the act of the main character shooting people with black skin and clearly backs up my opinion why the game may be perceived as racist. If this game was found to cause or encourage people to commit racist acts especially those of violence then the creator of this game could be prosecuted or even given a prison sentence. What are the ethical constraints for Blasphemy issues for your selected interactive media example? 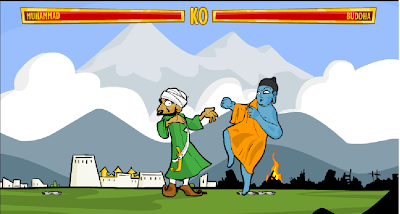 I found an example of a blasphemous online flash game were you can choose such as Muhammad, God, Jesus, Buddha and Ganesha as playable characters. 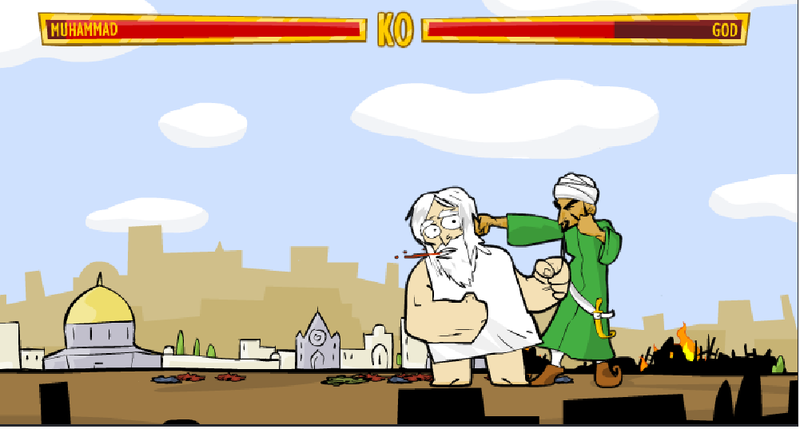 Some people may find this game blasphemous because it mocks something that is sacred to certain religions, Many religions would find this game offensive because they do not like people to create images of there gods this is because they didn't want their people to worship 'false idols', there were fears that the followers may worship the image, and not what it represents. The fact that you can make these characters commit acts of violence against each other just adds to the mockery. The aim of the game is to beat up and KILL the other god. Here are some screen shots of the blasphemous online “flash” games they clearly show gods and certain “sacred figures” beating the crap out of each other. These games are blasphemous because they portray these “sacred figures” in a mocking and disrespectful fashion. It would be against certain religions to mock gods in this way, This blasphemous flash game would have an impact in certain country's that follow the Islamic religion which take blasphemy very seriously and making and playing this game could lead to imprisonment or even the death penalty. The ethical issue of blasphemy would have to be taken into consideration if working abroad in an Islamic country and creating some interactive media, especially if that interactive media included images that would offend this way, it is a particularly important thing to take into consideration because the penalties are so high. What are the ethical constraints for gender (female) issues for your selected interactive media example? A found an example of a sexist animation that some people may consider sexist towards women, The animation is of a man and a women and basically suggests that men will only like you if you sleep with them. Some women may find the content of this animation discriminating or even degrading. The internet is commonly used and had even been exploited as a means for people to express opinions that may be deemed sexist, and although this animation may have been made as a joke, some people may find its content offensive. that states how and why interactive media such as the web has been exploited for people to express there sexist views and opinions. because people can use interactive media such as the web to be sexist anonymously it is easy for people to express these opinions because there are no legal consequences for there actions. What are the ethical constraints for gender (male) issues for your selected interactive media example? This example is of a video advert that's aim is to promote and sell pampers nappies. 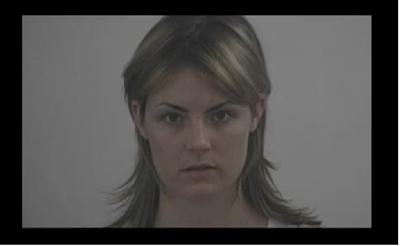 The video shows a women looking after and cuddling her baby. Some men may find this advert offensive or even sexist because it suggests that only women can look after babies. In the modern world gender roles have been reversed and whereas in the past it would have been women that stayed at home to look after there children many men are doing this job these days and may find this add offensive. 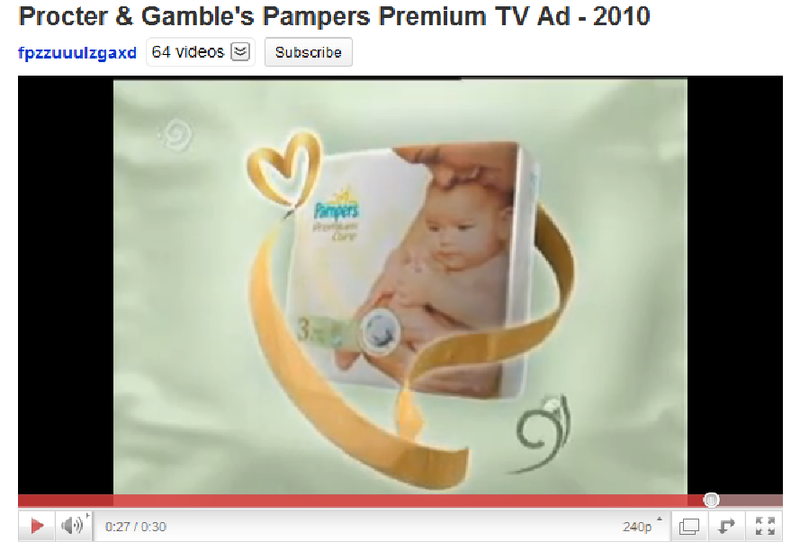 The people who made this advert should consider the ethical issues and the impact this video advert has, proctor and gamble may aim this add at women because they believe that women are more likely to buy nappies than men, but in this day and age this may not be the case, so proctor and gamble may be loosing customers because they have not considered the ethical issue of gender when produces this video to advertise there product. When creating a piece of interactive media special care should be taken to make sure the content is not seen as sexist, this can include imagery that creates gender stereotypes or text that suggests the interactive media is only for a particular gender. An example of where this is the case is the 3D volvo logo used for the car advert and on the company's website, the logo may be deemed as sexist because it is a “man symbol” and although the advert may be aimed at men as the potential customers buying the car, women buy cars to just as much as men, so this was not taken into consideration when thinking about what imagery to use for that particular interactive media example. 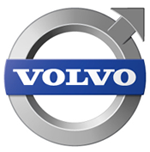 3D volvo logo in shape of the “man symbol” may be deemed as sexist towards women. What are the ethical constraints of Age in your interactive media example? This is an example of interactive media that may have ethical issues for age. Ageism means that a particular age group is being discriminated against and this interactive media example does just that. Theee adverts for Evian water have the “tagline” live young I believe that an aged person may find this advert offensive as it implys that to feel good you have to be young. The adverts for evian water paticularly depict young people in there adverts as shown in the above example. The advert is ageist because it discriminates against a particular age group (old people in this example) it may give the impression that you cannot feel young if you are old and this has ethical issues because it singles out a whole age group, I believe that the company that sells this water should take the ethical issue of age into consideration and realise they are not reaching a wider market with this advert and could be loosing out on a lot of custom. I found a quote online that relates to this particular example that draws reference from the fact this advert depicts ageism. This quote backs up my opinion that the creators of this advert are not thinking about the impact that this video will have on aged people, or what they are missing out on in sales. When creating a peace of interactive media it is very important to not single out a particular age group, even if you have a particular target audience in mind you could find a way to aim your interactive media at that target audience without including words or imagery that may single an age group out, the evian water advert has used wording in there tagline that makes there product seem ageist, the words “live young” without these particular words, or if another tagline had been used for there product such as “live well” or “live healthy” the ethical issues for age in this example may not be such an issue.